Thailand’s new rights commission a joke? would continue to permit the international community to provide post-cyclone relief. If life in military-ruled Burma has always been (Nargis or not) a question of surviving, it is not the reason to forsake the population. Australia earlier this month announced Aus $3.2 million humanitarian funds for the Rohingya people living in Burma’s… northern Rakhine State. The Tamil Tigers final battle? 1. The Council reaffirms the European Union’s unwavering commitment to the people of Burma/Myanmar in achieving a peaceful transition to a legitimate civilian system of government, to fight poverty and to improve their social and economic conditions. The Council recognises that the political and socio-economic challenges facing the country can only be addressed through genuine dialogue with all stakeholders, including those from ethnic groups. The Council notes, however, that the authorities of Burma/Myanmar have still to take the steps necessary to make the planned 2010 elections a credible, transparent and inclusive process, based on international standards. 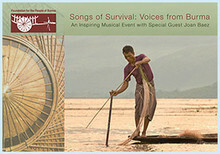 It calls for the release of Daw Aung San Suu Kyi and all other political prisoners and detainees. 2. In these circumstances, the Council deems it necessary to extend the current EU Common Position by another year, including the restrictive measures. The Council underlines its readiness to revise, amend or reinforce the measures it has already adopted in light of developments on the ground. The Council reiterates that the EU stands ready to respond positively to genuine progress in Burma/Myanmar. The EU remains open to dialogue with the authorities of Burma/Myanmar and is willing to meet them at ministerial level in the margins of the ASEM Foreign Ministers Meeting in Hanoi in May 2009. 3. The Council urges the government of Burma/Myanmar to engage more with the international community, to work towards a peaceful transition to democracy. It reaffirms the EU’s support for the Good Offices Mission of the UN Secretary General and his Special Advisor, Mr Gambari, and welcomes their continued personal commitment to further the political process. The EU will continue to promote the action of the Group of Friends of the SG and step up its dialogue on this issue, and on its implications for regional stability, with key actors, including ASEAN and its Member States, the United States, China, India and Japan. The EU encourages the authorities of Burma/Myanmar to engage the UN in a meaningful manner. In this context, the Council expresses its full support for the continued work of EU Special Envoy Piero Fassino in support of UN efforts, as well as coordinating with Asian partners, and in this context invites the Burma/Myanmar authorities to cooperate with him. 4. The Council welcomes the adoption of the Resolution 10/27 of the UN Human Rights Council and urges the authorities of Burma/Myanmar to comply with it, in full cooperation with the Special Rapporteur on the situation of Human Rights in Myanmar, Mr Quintana, whose extended mandate the Council welcomes. 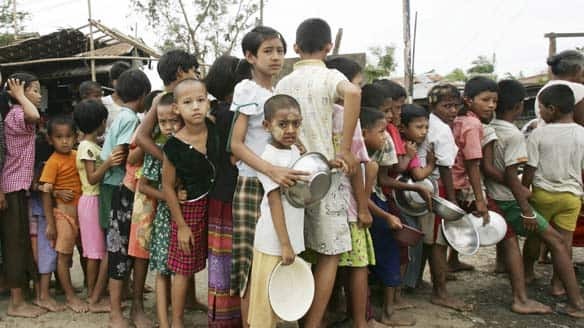 The Council is concerned by the deprivation of fundamental rights of ethnic minorities in Burma/Myanmar, in particular over the situation of the Rohingya ethnic minority in Northern Rakhin State, and urges the authorities to recognize their right to citizenship, and to protect all their human rights. YANGON- THE party of Myanmar opposition leader Aung San Suu Kyi Wednesday set stiff conditions for taking part in elections planned for 2010 by the ruling junta, including the release of the detained icon. The National League for Democracy (NLD) issued a statement after a two-day meeting in Yangon to decide on its stance ahead of the polls, which critics have derided as a sham intended to entrench the generals’ power. The statement said that it ‘intends to participate in the elections’ but only if all political prisoners including leaders of the NLD are ‘unconditionally’ released from jail. Secondly it also demanded changes to a controversial army-backed constitution approved in May 2008 – days after Cyclone Nargis ravaged the country – under which the vote will be held. The constitution gives the army a major role in any future government. The third condition set by the NLD was that the elections had to be ‘inclusive, free and fair’ and held under international supervision. The NLD said it also wanted to be able to study Myanmar’s upcoming party registration act and the law relating to the elections. The military, which has ruled impoverished Myanmar since 1962, has announced the polls next year under its so-called ‘road map to democracy’. Diplomats say the junta may be aiming for a date in March 2010. Nobel peace laureate Aung San Suu Kyi’s party won a landslide victory in 1990 elections but the military never let it take office. 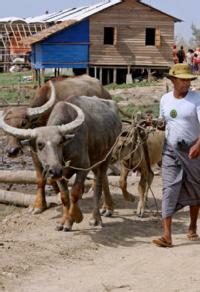 Is there anything new to say about business in Myanmar? … and hold talks if there was democratic progress. 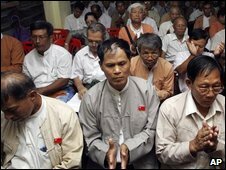 The United Nations also has tough sanctions in place against Myanmar, which was formerly known as Burma.